Even as a young girl, Kandi J. Wyatt had a knack for words. She loved to read them, even if it was on a shampoo bottle! 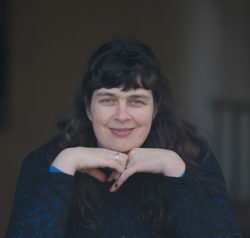 By high school Kandi had learned to put words together on paper to create stories for those she loved. Nowadays, she writes for her kids, whether that’s her own five or the hundreds of students she’s been lucky to teach. When Kandi’s not spinning words to create stories, she’s using them to teach students about Spanish, life, and leadership. 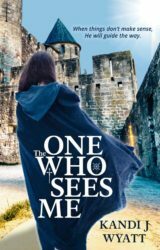 She has written a stand alone Christian Historical Fiction, The One Who Sees Me, and the Dragon Courage series which contains five books and a prequel. Now… on to the six questions! If you have any questions of your own, please leave them in the comments, and hopefully Kandi will drop by and answer them. I’ve often compared my books to my babies. There was the time of excitement early on when I discovered I was pregnant. The same was true for the first draft. I had ideas and words swirling around in my head ready to be written down on paper. When I was expecting my children, I grew large and uncomfortable. I was ready to be done with the pregnancy and hold the baby in my arms. This is comparable to the agonizing middle of slogging through trying to finish a novel. I wonder if it’s worth it, should I continue writing, and often am ready to give up. Each delivery of my children was different. Excitement built again as I realized I would soon have a child in my arms. Pain racked my body, but it was all worth it. This part of childbirth relates to the release of a book. My books have an editor look through them and suggest changes which can be painful. A proofreader takes it apart even more. Finally, the cover artist adds her touch to my writing. However, all the pain is worth it when I hold the book in my hands. The Dragon Courage series took me completely by surprise. I had no idea a story existed inside me. I’d written in high school, but it was just a hobby and had lain dormant for almost ten years. On a family vacation, I saw the sign for Three Mile Canyon, and an image of a dragon blowing fire down a canyon came to my mind. From there, other conversations from our trip came to mind, and before I knew it, I had a story flowing onto the laptop. I really have no set up. Wherever my laptop is, I can write. I do take notes, and often they end up in a composition notebook or on a Word document that I can refer back to easily. I may have a general idea of a story or a story idea, but I’m not a definite planner. I enjoy allowing the story to tell itself. I try to have a theme for a story before writing, but that isn’t always necessary. For instance, the most recently started story is from an idea of a character in book five of the Dragon Courage series. As I proofread the book, the character called out, “What about me? What’s my story now?” I really don’t know what’s going to happen to him. I just have started to write. We’ll find out together. I think the most critical tool for my success is dedicated time to write. Mornings are my time when I’m alert and able to focus. Being a teacher cuts into that writing time. I’m looking forward to the summer months and hoping I can write a lot. Dragon Rider by Cornelia Funke is one of my most favorite books. I’d love to see it in movie form. There are so many fun characters from Lola the rat, to Sorrel the brownie, to Twigleg the homunculus. I think I would be afraid they’d get the characters wrong or portray them differently than how Brandon Fraser read them in the audio book. Movies tend to do that. I hated Two Towers for ruining Faramir. The movie redeemed itself a little with the extended version. The other thing movies do is cut scenes out. There is no way you can cut anything from the book. It all is necessary. It carries you from fear to accomplishment. And into the realm of the unknown. And discover your own courage. In the world of Dragon Courage. Fantasy meets reality in the lessons the stories tell, creating books beloved by both the younger and older generation. 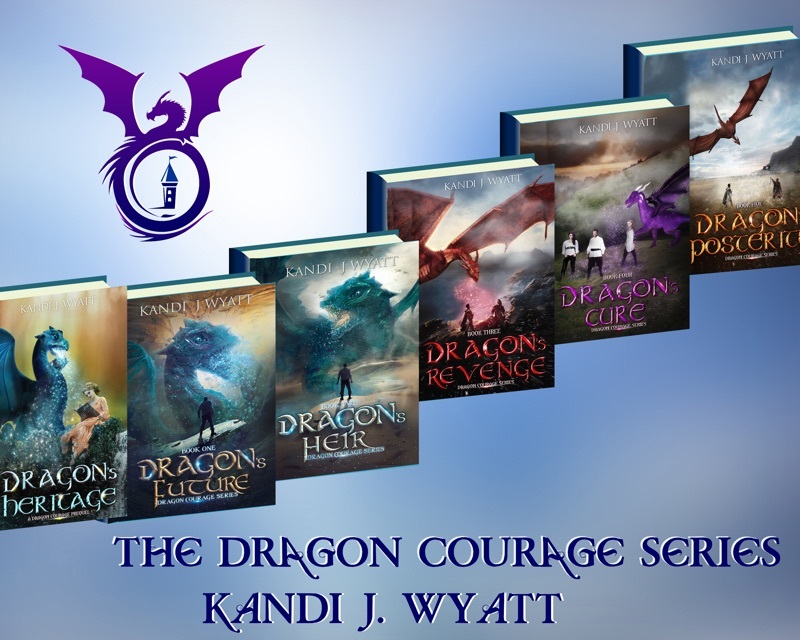 Family, friendship, courage, revenge, peace, justice, mercy, forgiveness and bitterness collide in the world of Dragon Courage. Come soar with dragons and fly true.